Welcome, everyone! 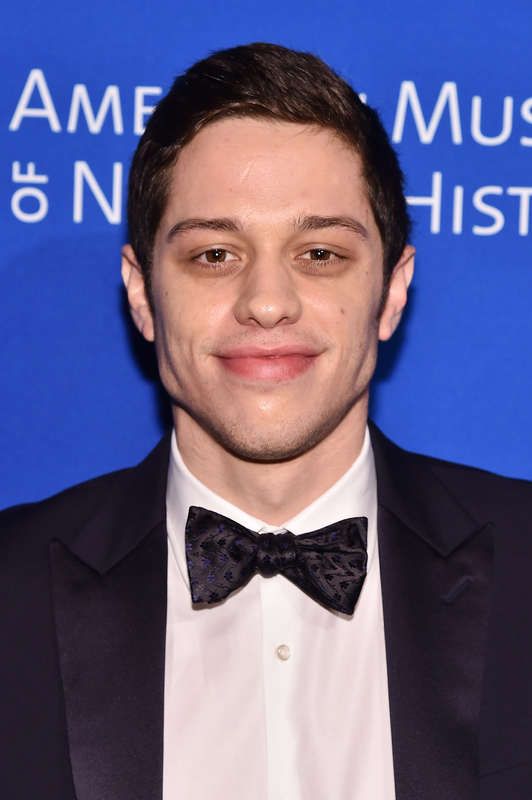 I'm here to tell you we have an update regarding Pete Davidson, Kate Beckinsale, and their rumoured relationship. — It all began with reports that Pete and Kate were seen getting ~cosy~ at a Golden Globes after party in January. — Then they were spotted holding hands after one of Pete's stand-up shows. — Kate's spent the last couple of months lowkey dragging anyone who decides to comment on her rumoured relationship on Instagram. — Ariana Grande thinks the whole thing is so cute! OK, now we're all caught up, I have some news for you. I've found evidence that the rumours are true, and Kate and Pete are officially a ~thing~. The evidence is these photos of them full-on making out at a Rangers game yesterday!!!!! They kiss each other on the nose now, I guess!!!!!!! They arrived at Madison Square Garden hand-in-hand just hours after they were spotted together outside this weekend's Saturday Night Live after party. And they both spent the whole game looking super happy. Cute! I mean, the same can't be said for Antoni from Queer Eye. Don't worry, Antoni. We've all been there. This is 100% pre-teen you whenever you had to third wheel your friend's date because their parents wouldn't let them go out together alone. And that's your official Davidsale update!